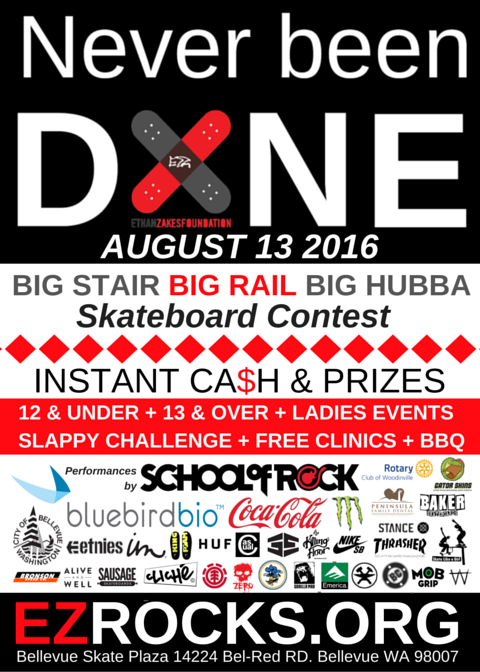 ﻿﻿AUGUST 13 2016: EZROCKS NBD (Never Been Done) is a big stair, big rail and big hubba street skateboarding event, where a big roll-in will give skaters all the speed they need for the huge flight of stairs! 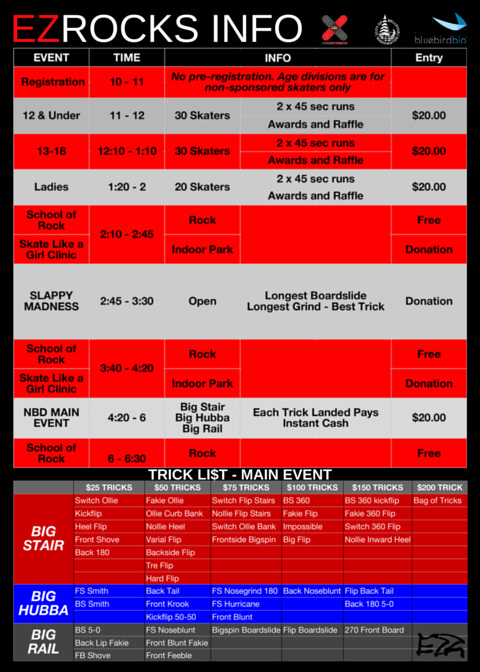 Cash prizes will be awarded when the tricks listed are landed and crossed off the large billboard. The day will also include: performances by The School of Rock, a tasty BBQ, free skate clinics, a street contest for all ages, a ladies event and tons of free stuff! 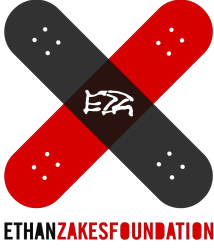 Entry fees will go to the Ethan Zakes Foundation to help fund newborn screening for ALD. Watching the event is free and registration is the day of. 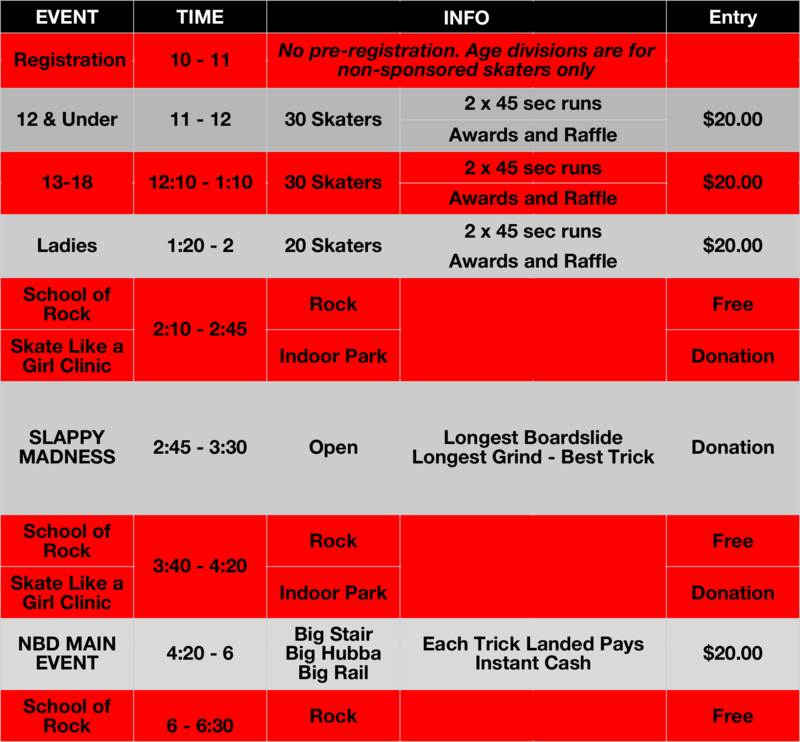 ​Download Event Schedule *Event details and specifics are subject to change.